This week, The Daily Telegraph underwent a redesign of its print edition, bringing back a rustic masthead and filling the pages with more reader-friendly typefaces. We catch up with the paper’s creative director Jon Hill, who tells us about the importance of heritage and legibility. 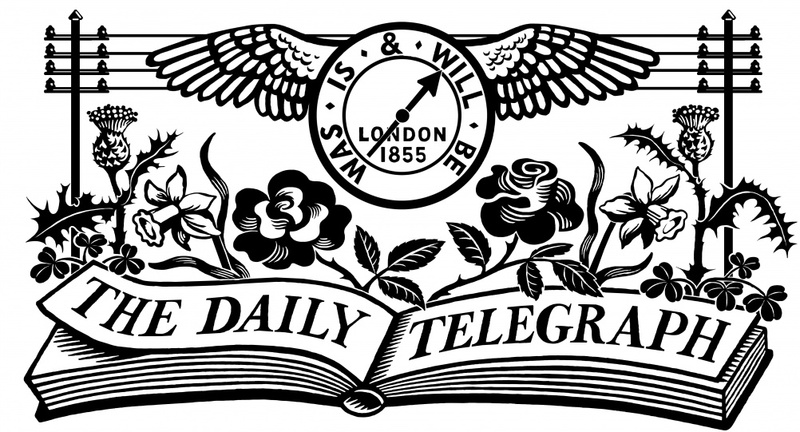 Design Week: Why have you restored The Telegraph’s Gothic masthead typeface used 160 years ago? 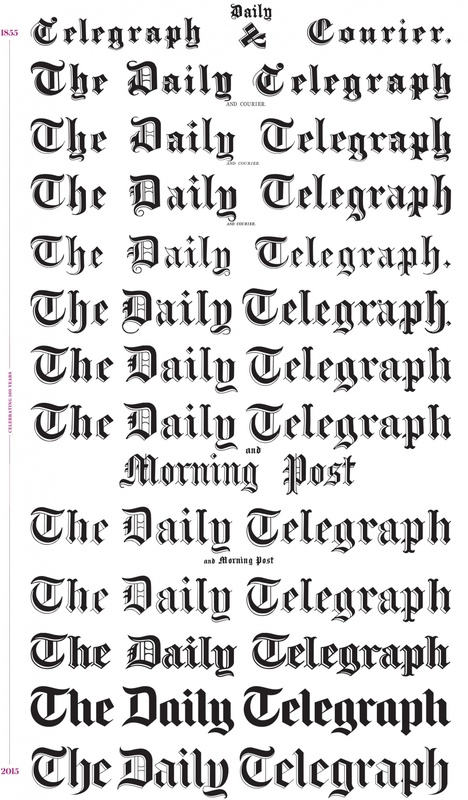 Jon Hill, creative director, The Telegraph: There have been 10 slightly different typographic versions of The Daily Telegraph masthead over the 160 years the paper’s been going. For the last 10 years or so, we’ve been using a solid version of the Gothic typeface that has been incongruous with the mastheads that had been used before; we wanted to restore it to what it used to be. The new Gothic masthead was drawn by a typographer called Paul Barnes, and is a modern take on previous versions – we’ve cherry-picked the best bits. The Daily Telegraph has been around a long time and has authority – it’s important for us to stand out against competitors which have only been going for two or three years. The new masthead is visually stronger, better executed, but more importantly shows we’re proud of our heritage. DW: What other key design changes have been made and why? JH: We’ve replaced all the typefaces with brand new ones, which are slightly bigger, with a reader-friendly colour palette. We’ve also adjusted the crests on the Opinion page leading articles to make them more old-fashioned, in keeping with restating the heritage again. 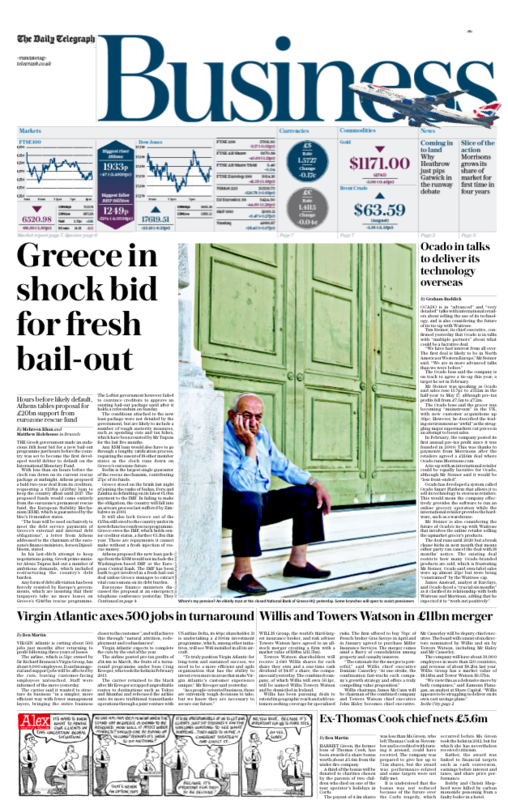 It’s partly been about legibility – I wanted to make it easy and pleasurable for readers to get through the newspaper. Before, some of the typeface choices were pretty atrocious and the colour palettes were unfriendly to readers who find things difficult to read – for example, thin sans-serif type on grey tinted panels. Weirdly, newspapers are now luxury items – it’s no longer a daily ritual, buying one and sitting down with it feels like a treat, and I also wanted this to come across in the design. 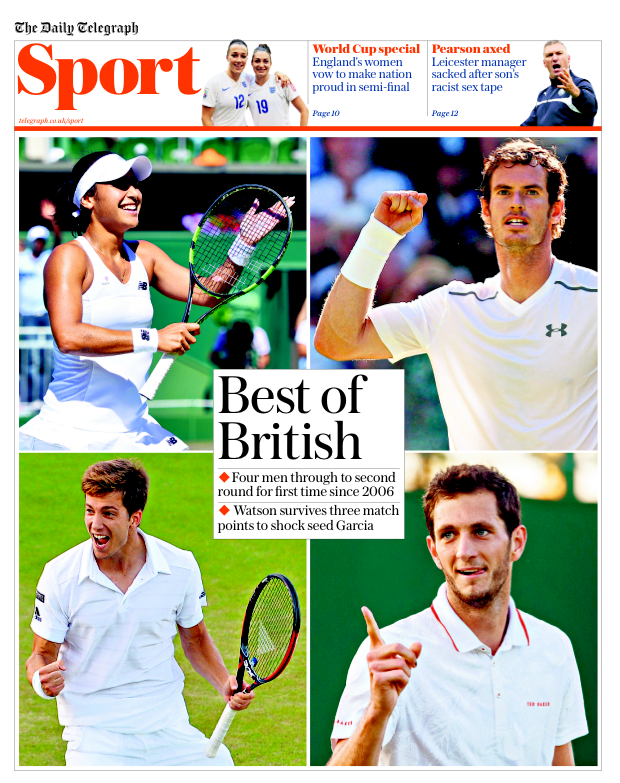 The second half of the paper now feels more like a magazine – it’s a bit looser and more entertaining. It’s this idea that someone has done their homework by reading through the news, and can now spend time in the more visual area. DW: How have you gone about combining the heritage of the paper with a modern outlook on newspaper design? JH: The Daily Telegraph is typically read by an older audience, which we want to nurture because they’re valuable. However, there is perhaps a new, younger audience coming through too. Modernity doesn’t necessarily mean you have to create really funky designs – you just have to be authentic to what you are, but appropriate to the age we live in. We’re acknowledging this by redesigning the digital side as well – this is just the beginning of the design improvements. We’re launching the redesigned tablet edition app later this year, and rebuilding a responsive website, so want all of our products to be visually compatible – my ambition is that we use consistent typefaces and colour palettes across them all. 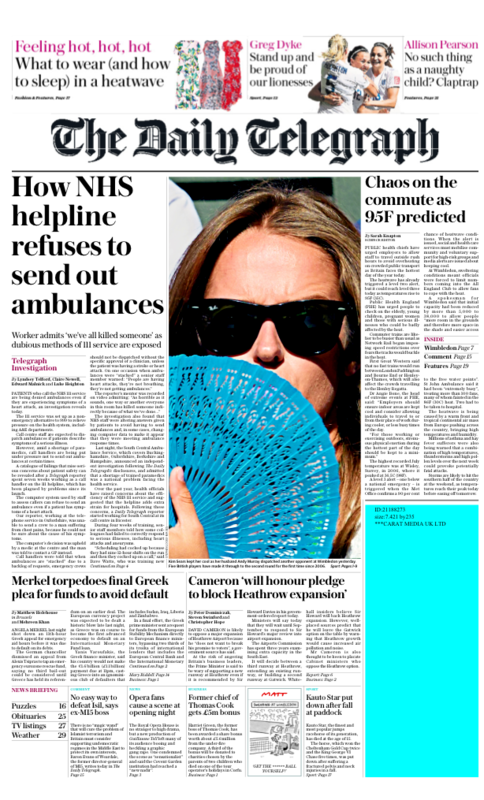 DW: What message do you want to convey to Telegraph readers with the new design? JH: It’s more of a holistic brief of restating the Telegraph as an overall quality product. I use the analogy of the British Museum, which was founded around the same time as the Telegraph. When you arrive, the building has a façade of looking imposing, serious and educational – similar to when you pick up the heavyweight, broadsheet newspaper. But when you walk through the new great courtyard in the middle, there’s a glass roof that was built by architect Foster & Partners only 10 years ago. They took a great building with cultural values and added a ruthlessly contemporary glass roof – this is exactly what I want with the Telegraph. It should be true and faithful as a print product, but unashamedly modern in new, digital products. The digital redesign shouldn’t be a nostalgic pastiche of the newspaper – it should feel like a new experience, but with the graphic design of a brand that is trusted and respected. DW: In an increasingly digital world, how can newspaper design stay contemporary? JH: I think that newspapers are going to become more and more of a luxury product – not in terms of being printed with gold ink, but in the sense of time, where people will spend on it and commit to it. The design will need to do the hard work on behalf of the reader, making it as legible and beautiful as possible. Designers will have to take more care and consideration over how they construct pages and layouts, in the same way that magazine designers do. The shift we’re seeing in national papers is that page layouts are becoming rich and architected. This follows through to the type of journalism they’re printing – newspapers are moving from reporting facts to delving into analysis and conjecture. While it used to be fish and chip paper, bizarrely newspapers are far less ephemeral in today’s society, and the production values need to match. DW: To what extent do you think a paper’s political stance can affect its design? JH: You design for your audience – politics does come into this, but it also includes how articulate and educated they are. The Telegraph’s readers are slightly older and on a whole quite affluent – whether they’re Conservative or not does come in to it, but it’s more about their view of where they see themselves in the world. I personally find it fascinating that liberal, left-wing papers such as The Guardian bizarrely tend to have the most restrictive, ordered and constrained design approach, suggesting something far more totalitarian, whereas the design of right-wing newspapers such as The Daily Mail is complete chaos. As a newspaper designer, you don’t think about the politics of your audience, but more the personality – perhaps because graphic designers typically read The Guardian, Alex Breuer and his designers are aware their audience might be attentive and desire a paper that’s ordered. I would argue that the Telegraph and The Times have the energy and personality of a tabloid, but with the discipline of The Guardian. While I like the news pages the feature pages and supplements are awful. Jon talks about wanting to make the design looser, when in fact it looks shabbier. Adverts are now being thrown onto the page with no consideration as to how they are aligned with the articles around them. Page 7 of yesterday’s ‘Your Money’ supplement is evidence of this. Photos are being positioned across lines and at jaunty angles. The overall style looks far too much like a student rag. I no longer buy the paper precisely because of this redesign. If you want to create a quality product you’re going to have to do better than this.